Ha Dong kyun, X Double K's MV of ‘Beautiful’ shows their Unique Aura. 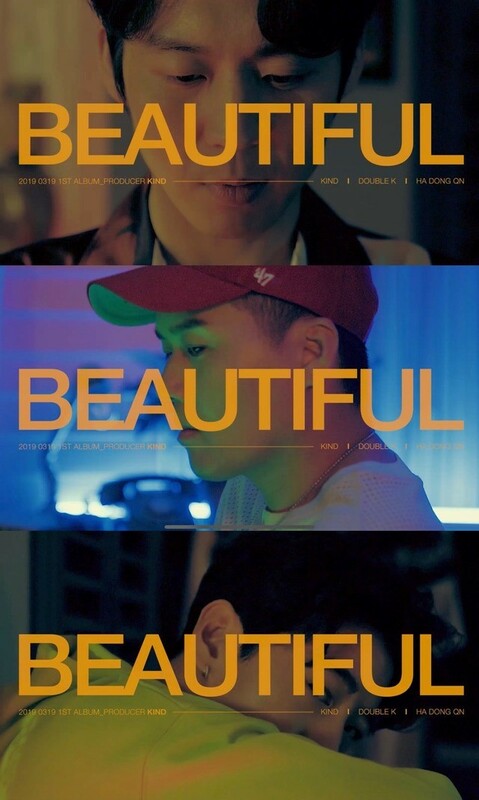 [The Fact] Producer KIND caught attention when released a music video for "Beautiful" on 20. Featuring sensual colors and dreamy visuals, the music video features Ha Dong kyun, who participated as a singer in Double K's first single, and producer Caind, and the three men's colorful visuals attract attention. The three men in the music video showed a charm with similar yet different sensory styling against the backdrop of a vast expanse of foreign space. Also, the emotional atmosphere of the Double-K's understated yet stylish rapping and luxury vocalist Ha Dong kyun captivates eyes and ears at the same time. The concept of this music video is DOOR, which is a channel of passion. Ha Dong kyun and Double-K expressed and erupted in different ways, each in different spaces, through a medium called this door. In particular, the song received keen attention before its release, as it was also inserted into the commercial music of the brand "ETIQA," in which Shin is working as a model. Starting with the release of the music video, KIND will continue his active music activities in 2019.